So, really, you can only restore health and energy in the middle of a fight if you're adept at executing harmonic combos. How can you possibly manage all of the enemies that will rush you, some with melee attacks, others with magic, by yourself? Luckily, you won't have to. Over the course of the game, other characters with different agenda will join your cause, and each has something unique to bring to the proverbial canvas. Most characters can be assigned to either Attack or Support, the latter manifesting itself in the form of your character meditating and restoring health or another stat. Some hireables only have the option of filling one of the two roles. One character teaches you drunken boxing, which you can only use by keeping a steady supply of alcohol in your system. When this henchman is summoned, he will support your character by throwing out bottles of wine when needed. Those characters that have a set boon to give you provide originality to what can sometimes be an otherwise cookie cutter selection of henchmen. 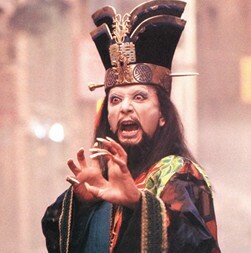 There better be a badass henchmen like Lo Pan.